100 Thieves has a rough rest of the week to go, too. When Midnight Esports’ Call of Duty roster disbanded and were replaced with an almost completely different lineup in March, fans were skeptical of their chances in the CWL Pro League. And after a rough showing at CWL Fort Worth in March, which saw Midnight lose each of their four matches, it looked like fans were correct to be skeptical. The team made a statement today, however, when they were able to best one of the hottest teams in the world, 100 Thieves. 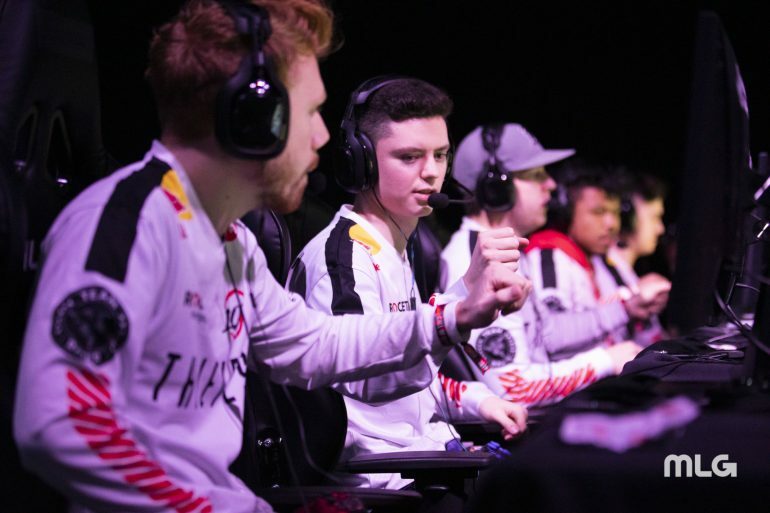 The series surprisingly started off with a 25-point Midnight win on Arsenal Hardpoint, which was one of 100 Thieves’ first Hardpoint losses in the league. Midnight also dominated the subequent map, Arsenal Search and Destroy, winning the game in just seven rounds. 100 Thieves were determined to climb out of the hole they had put themselves in, though. The team thoroughly beat Midnight on Frequency Control with a 3-0 sweep. The next game, Seaside Hardpoint, was also a one-sided affair, with 100 Thieves tying the series up with a 250-124 win. With the momentum clearly on the side of 100 Thieves, many expected Midnight to let the series slip by them and hand 100 Thieves their seventh win of the season. Midnight continued their strong form in Search and Destroy, however, and took the final map by a score of 6-2 to secure the first CWL Pro League win—and their first offline competition win—for this new-look roster. Midnight was not the only victorious team today, though. OpTic Gaming and Team Reciprocity both came out on top of five-game matches as well, defeating Denial Esports and Enigma6, respectively. In the final match of the day, Gen.G defeated Splyce 3-1. Midnight will look to string together another win tomorrow, when they begin the day’s games at 2pm CT with a match against a slumping Enigma6. 100 Thieves, on the other hand, will have a tough task ahead of them to get back in the win column; they play Gen.G tomorrow.